Princess Cruises is the third largest cruise line servicing 1.7 million guests on voyages that vary in length from three days to 117 days. Their mission is to show courtesy and respect, and be unfailing in customer service excellence. How to apply for Princess Cruises online is easy. Find the link under the heading Job Links, peruse the different Princess Cruises jobs available, and submit your Princess Cruises application. The company was founded in 1965 by Stanley McDonald with only one ship in service. Today, there are 18 ships that sail to six continents. They offer more than 150 different itineraries and call at more than 300 ports. They are owned and operated by Carnival Corporation & PLC and their Headquarters are located in Santa Clarita, California. This company has set up the Princess Cruises Community Foundation. This is a non-profit benefit corporation that was established in 2009. They provide financial support to other non-profit organizations. Their core values are to serve, respect, innovate, be consistent, be accountable and do it right. The company has many opportunities onboard and land-side. This can be a very exciting career for the right person. If this is you, then search for the perfect Princess Cruises jobs and fill out the Princess Cruises application. The onboard positions include Sales Associate, Junior Assistant Pursers, Staff Photographers and Videographers, Nurse, Paramedic, and Computer Officer. Working onboard means access to facilities that are specifically for crew use. Some of those facilities include a game room, a library; crew only dining facility, a crew gym and a crew pool. There are also many Princess Cruises careers available land-based. Some of those positions include Telecommuter Reservations Agent, Accounts Payable Coordinator, Marketing Associate, and eLearning Development Specialist. They offer a full benefits package and a competitive yearly salary. There are many more careers to be found when you search Princess Cruises’ jobs online. How old do you have to be to work at Princess Cruises? The minimum age to work landside is 18 years of age. However, to work onboard, the minimum age is 21 years old. Benefits differ between onboard crew members and land-based employees. The benefits onboard include room, board, free medical, onboard gym, separate employee entertainment, employee discounted rates on cruise packages, paid training, and competitive salary. The land-based benefits include cruise and travel discounts, paid time off including vacation, holidays and sick time, 401k, flexible spending accounts, and medical and dental insurance. They also offer business casual dress code, tuition reimbursement 9/80 work weeks, and rideshare incentives. There is not a printable application for Princess Cruises for you to download. 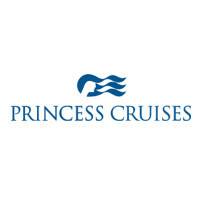 However, you can go online and apply for Princess Cruises. If you need help, hours of operation are Monday through Friday from 6:00am to 7:00pm; Saturday and Sunday from 6:00am to 6:00pm Pacific Standard Time. Onboard Sales Associate – The Onboard Sales Associate is responsible for providing superior customer service by assisting the passengers to find what they are looking for in the Boutiques. Other duties include performing inventory, maintaining a clean and organized shopping area, and stocking merchandise. Junior Assistant Pursers – The Junior Assistant Pursers responsibilities include the management of hotel accounts, shore excursions, and shipboard personnel operations. Other duties include handling of large cash volume, and providing excellent customer service. Nurse – The duties of the Nurse are to effectively provide safe, high-quality, evidence-based first response and patient care. Other responsibilities include promoting the highest standards of public health; manage acute medical emergencies, trauma patients, and general practice case load. Computer Officer – The responsibilities of this role include the maintenance, operation and support of all onboard computer systems, service, networks, Point of Sale terminals. Other duties include ensuring all systems are performing at optimal levels. The following questions are examples of what you may be asked during an interview. What do you think makes Princess Cruises standout from the rest? This question means that it’s time to show off how much research you have done regarding the company and the position that you are applying for. Make sure that you take this time to also ask questions about any of the research that you came across. How do you deal with constant time pressure? The recruiter is trying to determine how you multitask and deal with stress. Can you describe a time when you were faced with a stressful situation which tested your coping skills? This will be asked especially if you are applying for an onboard position. There are some great and unique benefits to working onboard, but there are also many challenges. Some of those challenges include a restricted living environment, shared accommodations, and a seven-day work week. The recruiter is determining how you will handle that type of stress. What major challenges and problems have you faced over the past year? When answering this question, don’t focus on the issues that you have had. Instead, focus on how you overcame those issues and what you have learned from them. As noted earlier, you will definitely want to begin the process by researching the company and the position that you are applying for. Then update your resume to focus on the specific skills and abilities that will be utilized on the job. Read the application directions thoroughly and double check your application before submitting it. Before your interview, go to the website and look how the crew members are dressed. It is best if you dress professionally and mimic the neat and tidiness of the crew members. Make sure that there are no distractions before the interview begins. Be aware that the interview process is completed in stages. The first stage is normally a group interview of 20 – 30 applicants where you will answer basic questions. If you pass the first stage, you can expect the second stage to be held either with a panel of human resources representatives or a single representative. This stage involves intense screening of your personality, job skills, and behavior. At the conclusion of each stage, thank the hiring managers for their time, and inquire what the next step is and what the turn-around time is to find out a decision. It never hurts to follow up with one of the recruiters after a week to find out what the progress is. Silversea Cruises: Visit the Silversea Cruises application. Cathay Pacific Airlines: Use the Cathay Pacific Airlines job application to apply here. Virgin America: For career opportunities, fill out the Virgin America online application. Norwegian Cruise Line: Visit the job application for Norwegian Cruise Line to apply today. Qantas Airlines: For career opportunities, fill out the Qantas Airlines online application.